Are you looking for new, creative ways to promote the game of soccer? Are you looking to feature a non-traditional outdoor campaign in select markets? Soccer properties looking for new ways to market their organization should consider benchmarking an outdoor marketing tactic Lotto used around the 2006 World Cup in Germany. 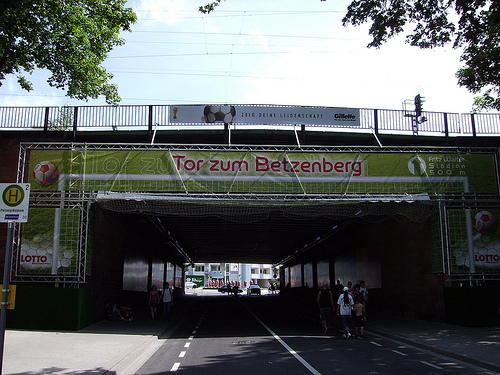 The company creatively branded the side of an overpass to resemble a soccer goal that fans walked under towards one of the site locations where a World Cup match was being played. Bring Your Team Billboards Life!